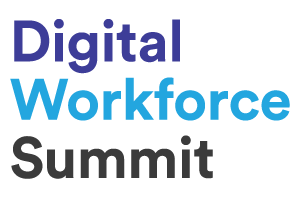 DWS 2018: End-to-End Cognitive & Autonomics with Chetan Dube and Ergun Ekici from IPsoft on Vimeo. Dube called 1Desk a graduation of sorts for Amelia, IPsoft’s cognitive AI digital colleague. Sitting inside 1Desk, Amelia is able to field requests from end users and complete tasks without human intervention. 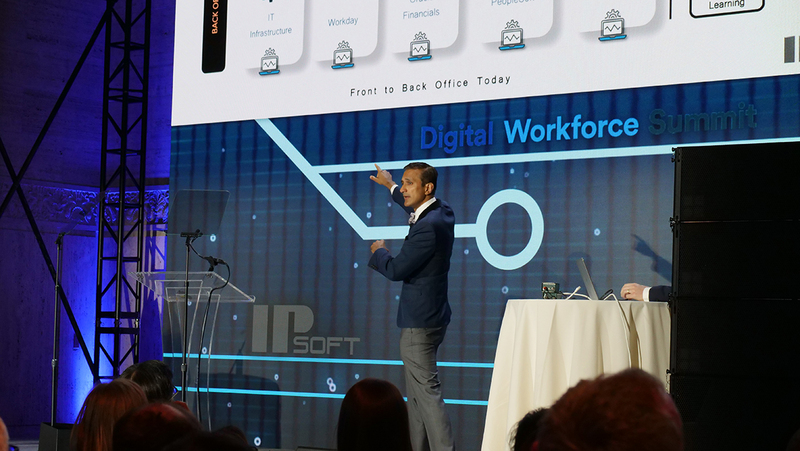 “We’re going to make her a banker, a wealth manager, and investment banker, a risk analyst, a physician’s assistant, all so you can have an easier time,” said Dube, who presented 1Desk’s capabilities with Ergun Ekici, Vice President of Emerging Technologies at IPsoft. By combining Amelia’s cognitive abilities with 1Desk’s advanced autonomics IT operations management, IPsoft aims to deliver a “revolution in the way customer service is rendered today, the way organizations get their tasks rendered today, and a revolution in the cost of delivery models,” Dube said. 1Desk can also sit on top of back-end systems, such as HR, FMS, ERP, and CRM to provide one single ecosystem in which technology processes are managed. The system is packed with pre-built automations that can handle most Level 1 and a large portion of Level 2 issues. If a task can’t be automated, the solution routes the tasks to the appropriate experts. Manual automation is an oxymoron. You cannot have manually trained tasks and call it automation. “There’s a system governing [and] attracting every task that comes in — doesn’t matter if it’s predictive, doesn’t matter if it’s monitoring, doesn’t matter if it’s a conversation, an incident request or a change. Everything is governed by the [1Desk] platform and routed to a human or a machine,” Ekici said. As a human expert solves a problem routed from 1Desk, the system learns from the expert’s resolution and automatically creates a new automation. The automation is then saved to be approved by management for deployment. Inside the system, Amelia will be the first interaction employees will have with back-end technology. Dube explained she’ll be able to perform simple tasks, including things such as recovering deleted emails, managing expenses and recovering passwords. Rather than send an email to a helpdesk, users will type or speak a message to Amelia and she will resolve the issue, if possible. If she can’t resolve the issue, she will route it to a virtual engineer who will attempt to resolve the issue using existing automations.